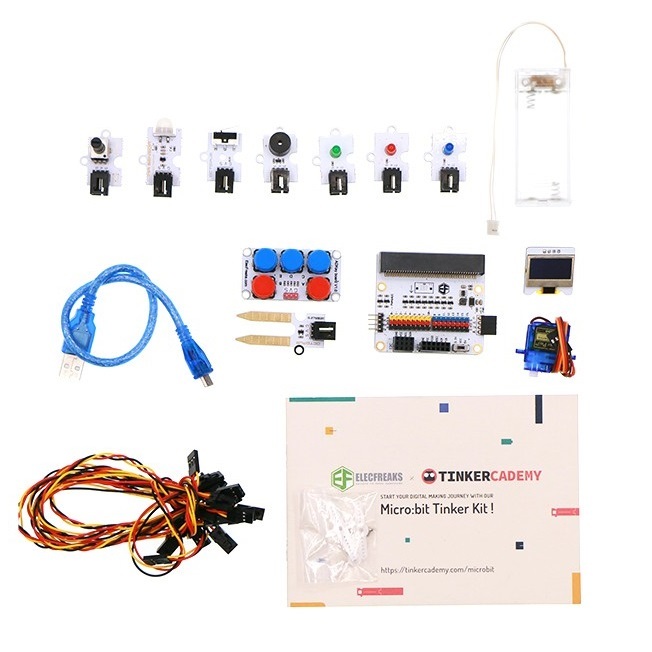 As part of the tutorials in this development track you will work with your child exploring the different facets of the BBC micro:bit and interacting with the real world using the sensors, LED’s, servo, etc, part of the Tinker Kit for the BBC micro:bit. 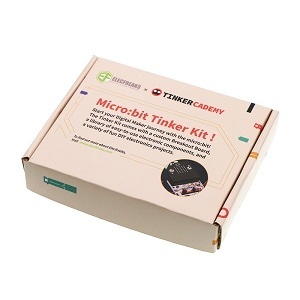 This development track provides access to all of the relevant micro:bit tutorials. These tutorials will introduce you to the various electronic components (Servo, LED’s, Motors, Resistors, Switches, Breadboard, etc.) 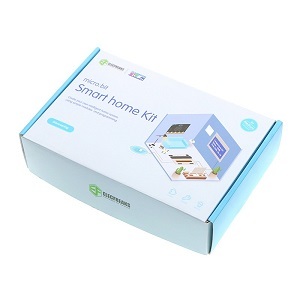 part of the starter kit including the relevant code blocks you will need to put together.  You will use the Makecode block based coding platform to write your code. The Elecfreaks tinker kit for BBC micro:it comes packed with ~10 easy to use sensors (PIR sensor, soil moisture sensor, crash sensor, etc.) and includes the Electrofreaks Octopus micro:bit breakout board. The Electrofreaks Octopus micro:bit breakout board is specially designed for use with the Electrofreaks Octopus sensors and makes it really easy to interface with the different electronic bits i.e. sensors, etc. included in the starter kit. 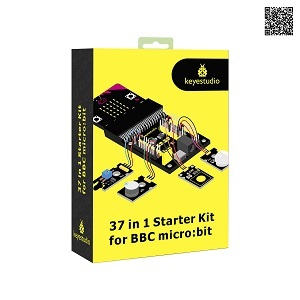 The starter kit for the BBC micro:bit offers a great opportunity to explore the world of electronics using the BBC micro:bit. 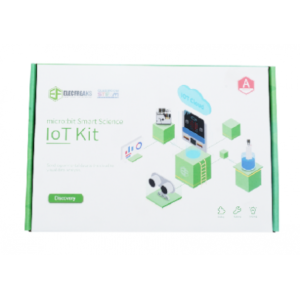 Interact with the real world through the various sensors, create innovative projects, learn how to program the micro:bit to read data from the sensors and perform certain actions. 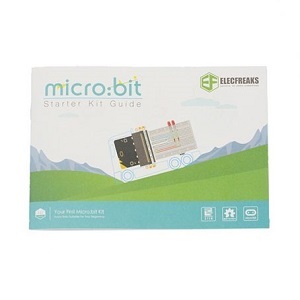 The starter kit for the BBC micro:bit is a great way to dive into the awesome world of electronics and get started with your own STEM (Science, Technology, Engineering, Math) learning journey.